MT9090A with MU909014x/15x Overview There are many handheld OTDRs on the market that appear to be a good value until they are put into action and the user quickly finds out that they lack the performance needed to install and maintain today’s networks. 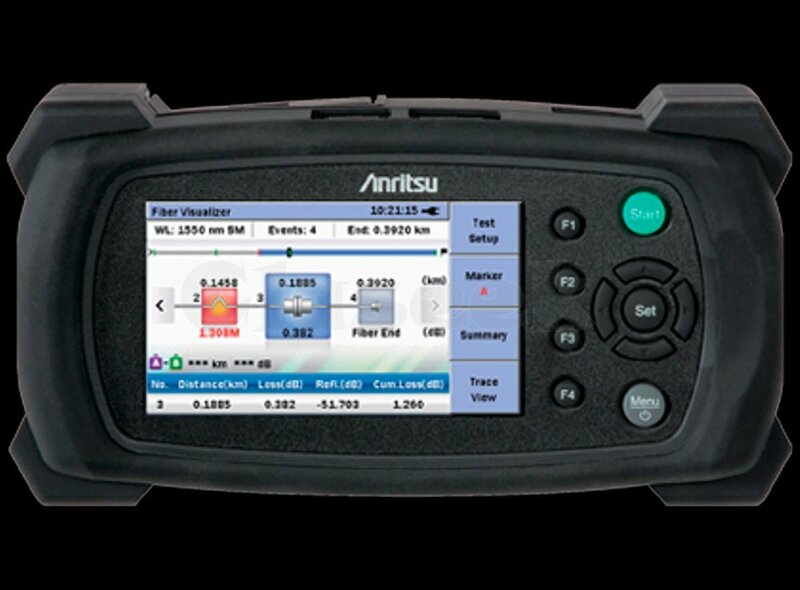 The new MU909014x/15x µOTDR Module series for the MT9090A Network Master platform from Anritsu finally addresses this need by providing all of the features and performance required for installation and maintenance of optical fibers in a compact, modular test set. The MT9090A represents an unmatched level of value and ease of use, while not compromising performance. Data sampling of 2 centimeters, dead zones of 0.8-meter and dynamic range up to 38 dB ensure accurate and complete fiber evaluation of any network type – premise to access, metro to core…including PON-based FTTx networks featuring up to a 1 × 64 split. The MT9090A with MU909014x/15x module represents a new era in optical fiber testing!